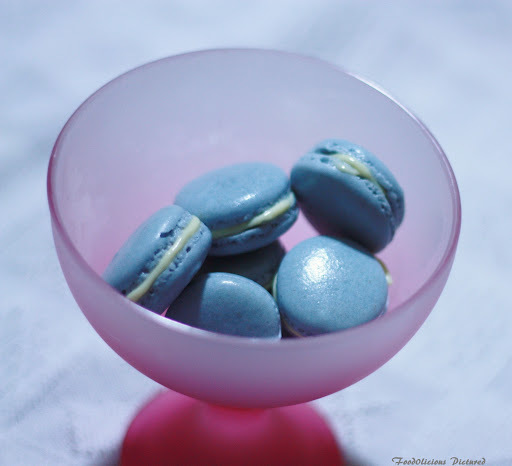 Never thought that my macarons would turn out to be a hit the first time. I did go through a lot of recipes and tips before I baked. Adapted from Martha Stewart’s recipe which was easy to follow, but I have gone with aging the egg whites whereas the recipe uses egg whites at room temperature. One of the website says to time each process so the next time when you bake the shells you know where to correct if you have gone wrong the previous time and I think this is a very useful tip for any baking and here especially with beating the egg whites as you don’t want to over beat the whites but beat it enough to form a stiff glossy peak. The other crucial point is when mixing the egg whites with the flour and sugar mixture. 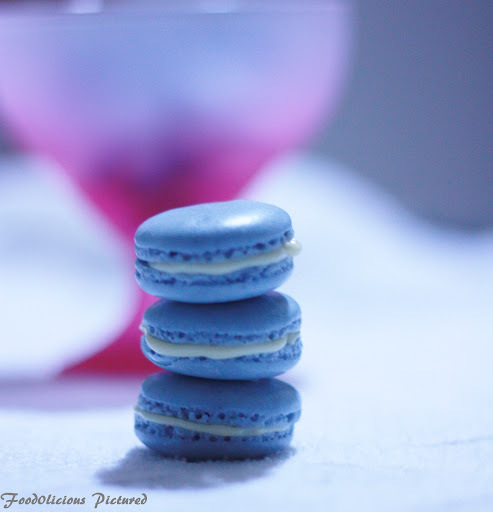 You must be careful not make the batter runny as you will end up with the macarons not rising as they should. Macarons are particularly sensitive to heat, so it’s crucial that you adjust cooking times according to your oven’s power. In food processor, process the almond flour and icing sugar. Sift the flour and sugar mixture in sieve twice discarding any almond lumps that are too big to pass through the sieve. Whisk the egg whites in clean dry bowl (no trace of water please) till soft peaks are formed. Add the caster sugar, and beat on a low speed. Once combined increase the speed to high and whisk till glossy and stiff peaks are formed (For me, it took 7 minutes on electric hand beater on a high speed). Add the food colour of your choice and beat for 25-30 seconds. Please make sure not to over beat the egg whites. Reduce oven temperature to 325 degrees. 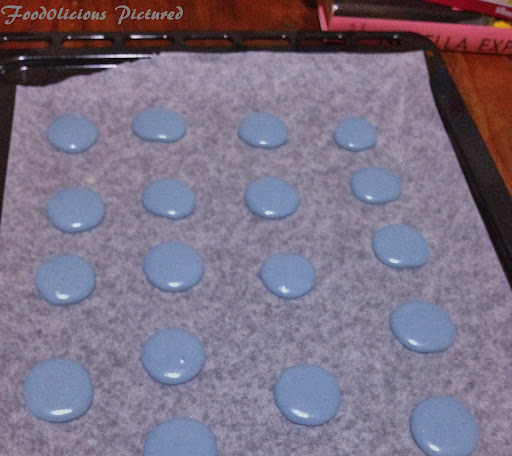 Bake 1 sheet at a time, rotating halfway through, until macarons are crisp and firm, about 10 minutes. After each batch, increase oven temperature to 375 degrees, heat for 5 minutes, then reduce to 325 degrees. Heat cream in saucepan until it comes to a boil. Pour the cream over the chocolate and use a spatula or wooden spoon to stir in a circular motion from the centre of the bowl and slowly incorporate more and more of the cream until the chocolate and cream comes together into a smooth emulsion. Let it cool at room temperature and the in fridge until firm enough to pipe.